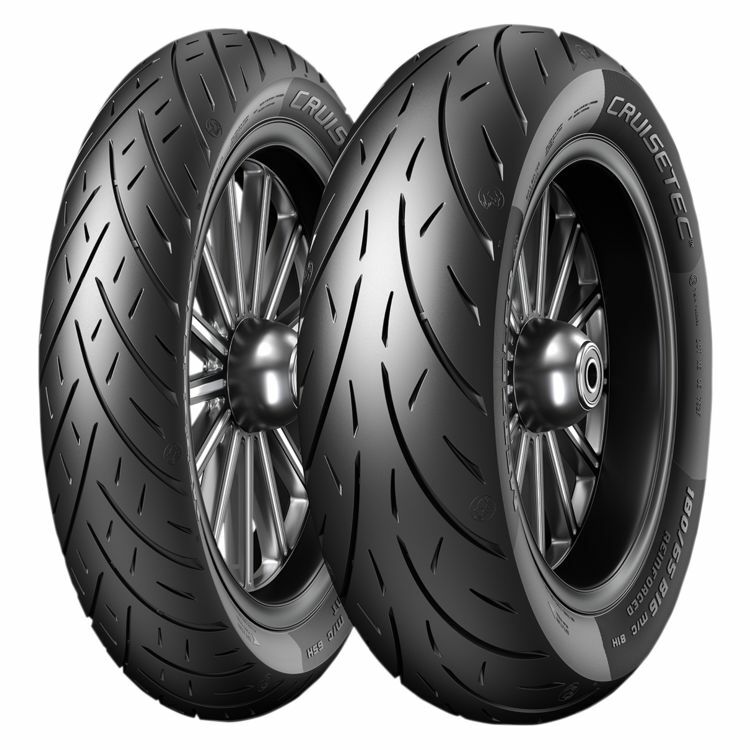 The Cruisetec is the latest addition to Metzeler's line of cruiser tires. With a new aggressive tread pattern set in dual-compound rubber, the Cruisetec offer supreme handling in both dry and wet conditions. Featuring an all-new carcass specification, the Cruisetec provides excellent, predictable handling and cornering stability throughout corner entry and exit. This performance tire will not only help make use of all the extra power of performance cruisers but also improve the handling characteristics of cruisers of all shapes and pedigrees.